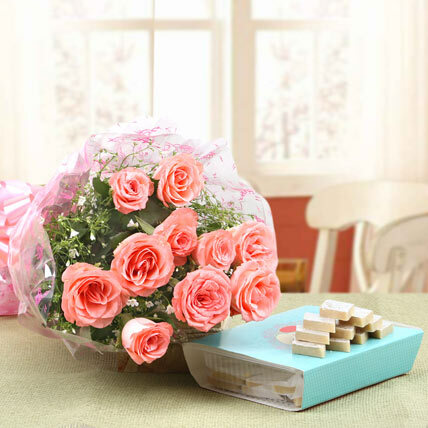 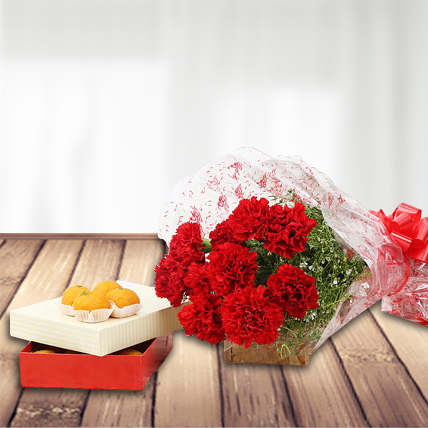 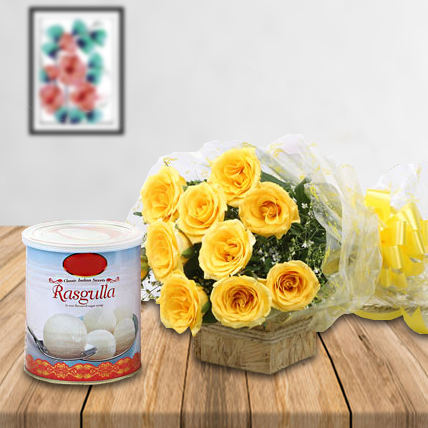 Express your gesture in sweetest way with this hamper of 10 Red roses and 1 kg rasgulla tin. 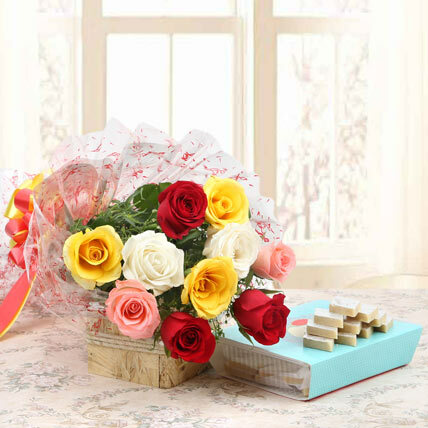 It is a pretty combo designed to mark the happy moments. 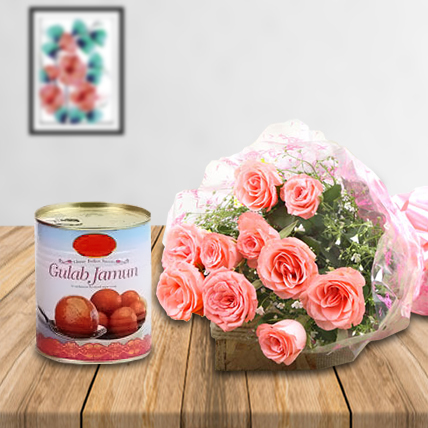 This delicious treat is perfect to express your warm and regards.